Hauling costs throughout the country continue to increase. In fact, the upper Midwest Federal Milk Marketing Order found the average cost to haul a cwt of milk in Wisconsin was 24¢ in 2018, 40% higher than 2017. Hauling costs typically increase a few cents per year. The recent jump in hauling costs is due to an oversupply of milk, according to Corey Freije, a dairy economist with the Upper Midwest Order. 1. Buy a bigger bulk tank. The biggest factor influencing hauling costs is distance from the plant. Herd size and milk volume also influence producer costs. “Hauling charges are higher for small farms given the increased number of stops in order to fill out a load,” Freije says. 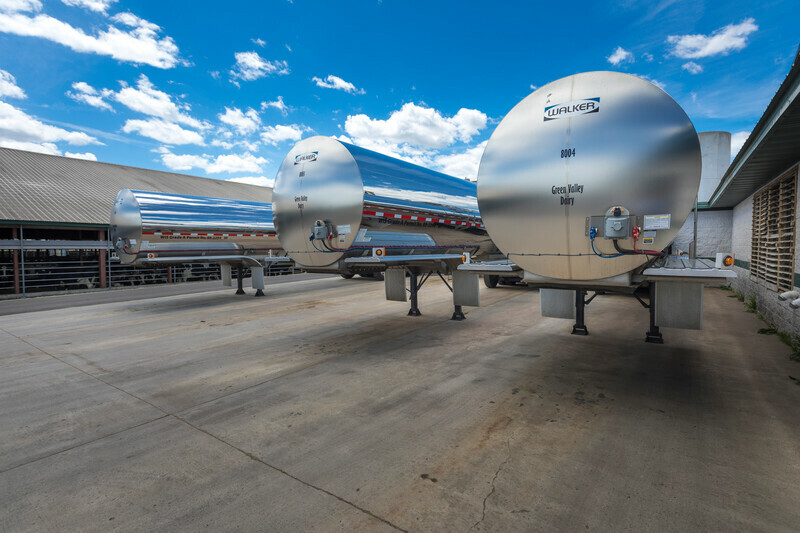 Many cooperatives charge a stop fee, which can be reduced by a larger bulk tank. For example, if you can put in a tank that allows the milk truck to come once a day instead of twice, you’ve cut your stop fees in half. The same can be true for switching from bulk tanks to a direct load system. Direct load shipping has become increasingly more popular over the past 10 years. The Gerrits family in Wisconsin has been using direct load tankers for nearly 10 years.